A rich assemblage of fossils and artifacts in the foothills of the Zagros Mountains in Iran has revealed that the early inhabitants of the region began cultivating cereal grains for agriculture between 12,000 and 9,800 years ago. The discovery implies that the transition from foraging to farming took place at roughly the same time across the entire Fertile Crescent, not in a single core area of the "cradle of civilization," as previously thought. Until recently, political pressures had limited excavations of archaeological sites in the eastern Fertile Crescent, or modern-day Iran, while findings to the west—at sites in Cyprus, Syria, Turkey and Iraq, for example—provided detailed clues to the origins of agriculture. Now, Simone Riehl from the University of Tübingen in Germany, along with colleagues from the Tübingen Senckenberg Center for Human Evolution and Paleoecology, have analyzed plant remains at the aceramic (pre-pottery) Neolithic site of Chogha Golan in Iran, and their results show that people were growing and grinding cereal grains like wheat and barley at the same time as their counterparts to the west. Their findings appear in the 5 July issue of the journal Science. 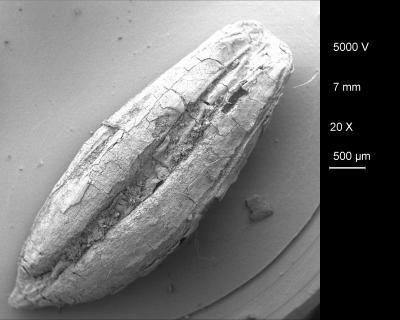 "During the last few decades, numerous archaeological excavations were conducted in the Near East that led researchers to consider the possibility that multiple regions in the Fertile Crescent began cultivating cereal grains roughly at the same time, rather than just a single core area," Riehl explained. The plant remains found at the Chogha Golan site document more than 2,000 years of the region's land use and represent the earliest record of long-term plant management in Iran, according to the researchers. 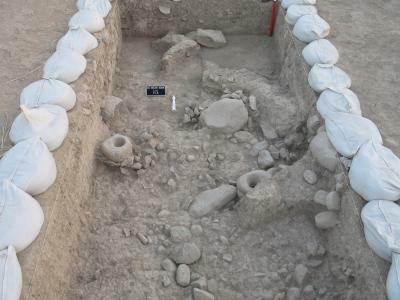 The site's excavation, which was conducted by archaeologists from the University of Tübingen and the Iranian Center for Archaeological Research between 2009 and 2010, shows that Chogha Golan's early inhabitants cultivated wild barley, wheat, lentil and grass peas—and eventually domesticated emmer wheat—during their occupation, which began about 12,000 years ago. 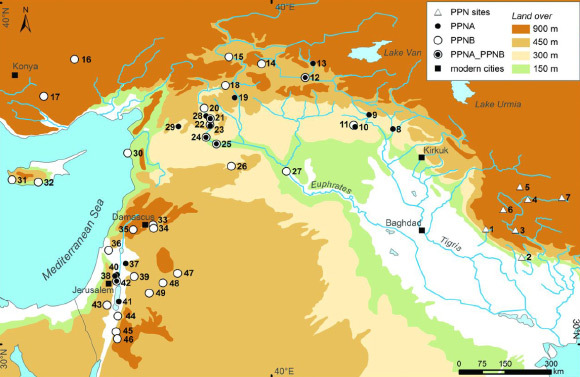 Taken together, these new insights suggest that the eastern region of the Fertile Crescent likewise made significant contributions to the development of Neolithic culture. The findings by Riehl et al. indicate that essentially simultaneous processes led to the management of wild plants and the domestication of cereal grains across most of the Fertile Crescent. But, how such strategies were disseminated over the entire Fertile Crescent—whether by the communication of ideas, the spread of crops or the migration of people—remains to be seen, according to the researchers. "For some time, the emergence of agriculture in Iran was considered as part of a cultural transfer from the west," Riehl said. "This opinion was, however, mostly based on the lack of information from Iranian sites." "We meanwhile assume that key areas for emerging domestication existed over the whole Fertile Crescent, and that there were several locations where domesticated species evolved as a result of cultivation by local human groups," the author concluded. "This does not, of course, exclude the possibility of some kind of transfer of ideas and materials between the different groups populating the Fertile Crescent." The report by Riehl et al. was supported by the Eberhard-Karls-Universität Tübingen, the Heidelberg Academy of Sciences, the Tübingen Senckenberg Center for Human Evolution and Palaeoecology and the German Research Foundation.